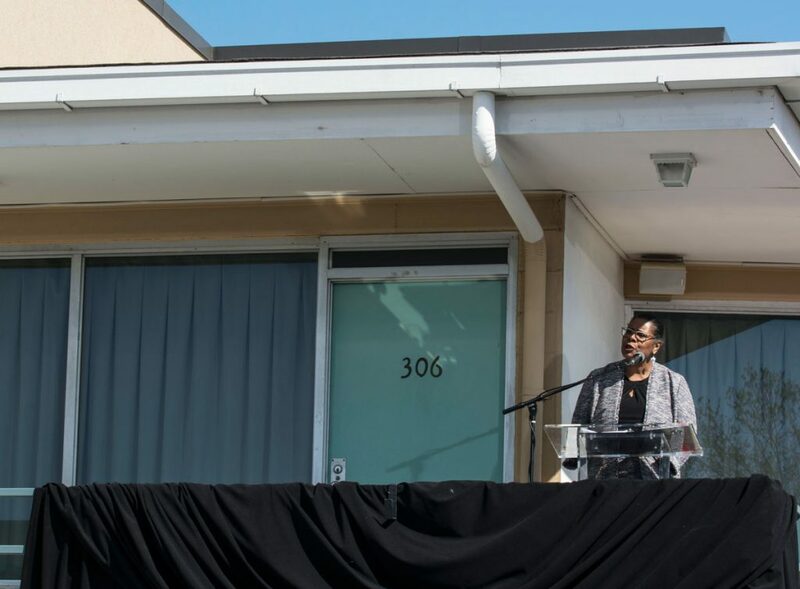 MEMPHIS — The eyes of the world were on the balcony in front of Room 306 at the Lorraine Motel on Wednesday just as they were 50 years ago when the shot that ended the Rev. 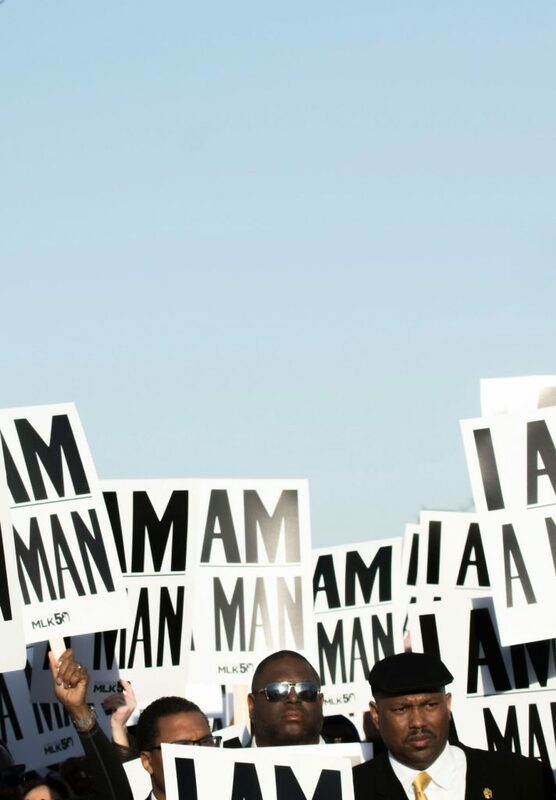 Martin Luther King Jr.’s life rang out across America. 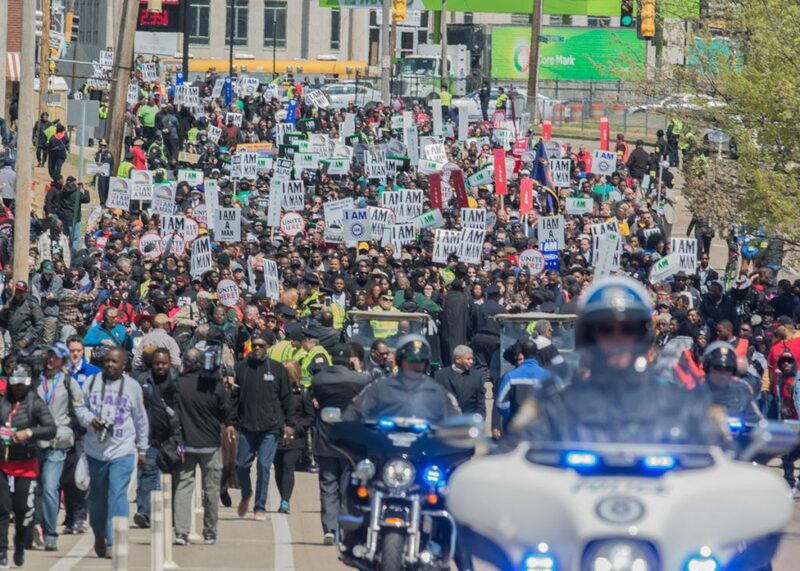 Thousands from all across the United States and world gathered at and around the motel, which is now home to the National Civil Rights Museum, where King was assassinated April 4, 1968, to commemorate the 50th anniversary. The 50th Anniversary Ceremony began with a word from Terri Freeman, president of the National Civil Rights Museum. A video recording from former President Barack Obama, who couldn’t attend the ceremony in person, played for the audience. After the invocation by Bishop Charles Blake Sr., the presiding bishop of the Church of God in Christ, Rabbi Katie Bowman from Temple Israel read from the Torah, and the Rev. Virzola Law of Lindenwood Christian Church read a passage from the New Testament. The Rev. Jesse Jackson emerged from Room 306 and walked to the podium placed in the spot where he stood alongside King so many years ago. Jackson recalled the moments before and after King was struck by a bullet and killed. Jackson cited freeing Nelson Mandela from prison, Obama’s presidency and even the recent March For Our Lives movement as continuations of King’s lasting legacy. “From this balcony, we decided we would not let one bullet kill a movement,” Jackson said. The 105 HBCU (Historically Black Colleges & Universities) Legacy Voices choir performed several times throughout the day, serving as transition between speakers. Several elected officials with ties to Memphis spoke at today’s ceremony. 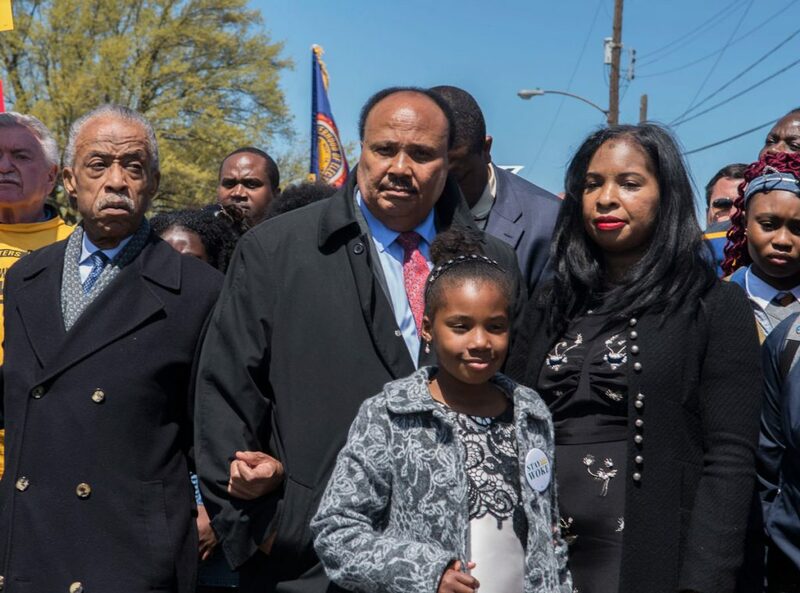 Memphis Mayor Jim Strickland and Shelby County Mayor Mark Luttrell both delivered speeches about King’s legacy, the progress made in the Memphis area since his death and challenges that still stand today. Both officials were met with chants of “no change” from audience members that lasted throughout their speeches. The crowd calmed as U.S. Rep Steve Cohen spoke about this day’s proximity to the Passover and Easter holidays, comparing King to Moses and Jesus. His speech was followed by applause, but the crowd’s mood soon changed as Tennessee Gov. Bill Haslam took the stage. Haslam was met with boos from the crowd that drowned out his words and ultimately spoke for only one minute before leaving the stage. Speakers representing multiple religions were present to discuss how King’s message and mission line up with them and and what they are doing to further it. The Rev. J. Lawrence Turner, senior pastor of Mississippi Boulevard Christian Church, delivered reflections on King as a Christian faith leader. The Rev. J. Lawrence Turner, senior pastor of Mississippi Boulevard Christian Church’s speech largely focused on the need for people to move forward from the MLK50 event determined to make a change. Sister Peace, a Buddhist nun, spoke about King’s interaction with Thich Nhat Hanh, the Vietnamese monk whom King nominated for a Nobel Peace Prize in 1967. She said that when King died, Hanh vowed to redouble his efforts and put all of his energy into building beloved communities. “Just 60 miles south of here, in Batesville, Mississippi, there’s the Magnolia Grove Monastery where the statue of Dr. King stands holding a scroll of the beloved community and it says, ‘To build a community that lives in harmony and awareness, that is the most noble task,’” Peace said. Omid Safi, director of Duke University’s Islamic Studies Center, said King “weeps in his grave to see what’s happening to his beloved America” and reminded the crowd that if you love people, you can not be silent when you see them suffer. Safi linked his faith with King’s message of love and acceptance. Father Michael Pfleger, senior pastor of the Faith Community of Saint Sabina, delivered a fiery, passionate speech – the last speech of the day. 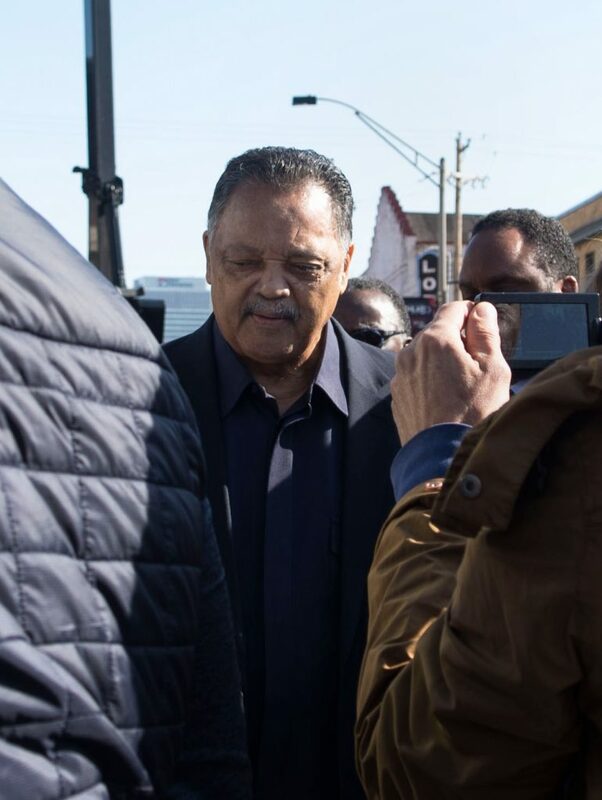 “Martin Luther King Jr. was uncompromising in his charge to subpoena the conscience of America and demand that America stand before the seat of morality and face her hypocrisy and make good on the promises that she put down on paper,” Pfleger said. Pfleger ended his speech by asking if Americans will commit themselves to holding their country accountable or if they will be a part of King’s assassination by their silence. At 6:01 p.m., Pfleger fell silent. A lone bell then rang 39 times in honor of King’s 39 years spent on Earth. The crowd members stood respectfully and quietly as they listened to the bell toll. At that same time, a commemorative wreath was placed in front of Room 306 by Jackson, Freeman and Pfleger. A solemn moment of reflection erupted into a jubilant celebration of King’s life and memory when Al Green began his soulful jazz rendition of “Precious Lord, Take My Hand,” which had been King’s last request to musician Ben Branch immediately before he died. As Green played an encore, the crowd members dispersed with smiles on their faces, eyes fixed on the next 50 years.